ISO 16028 interchange Hydraulic Flat Face Quick Couplings made of solid barstock are zinc plated and ball racing areas are induction hardened by applying heat treatment. The thread size is BSP and standard seal material O-ring is Nitrile (NBR) suitable for temperature range from -30 ºC and +110 ºC. Also Viton, which is ideal for the temperatures from -30 °C to +225 °C, and special springs resistant to high temperatures are available on hand. 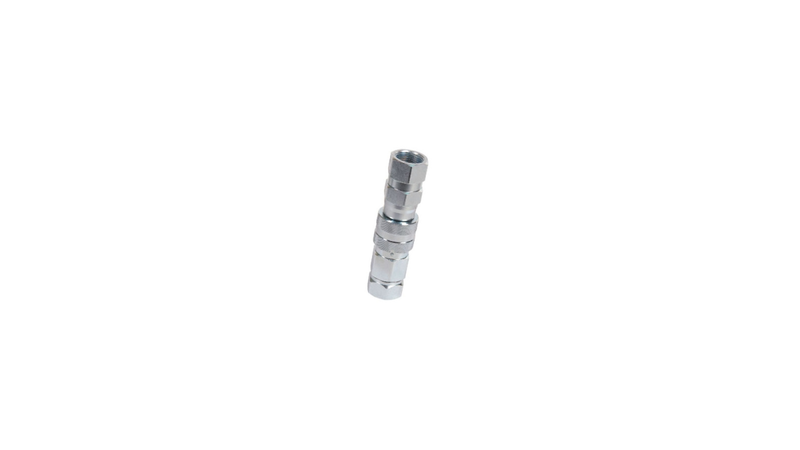 Flat Faced Quick Couplings are specially designed for easy cleaning and preventing the penetration of contamination to the hydraulic circuits. Special desing which allows connection and disconnection under pressure provides no-spillage of oil and no inclusion of air or external media during operation. "Push system" requiring only one hand for operation makes connection and disconnection easy and fast. Manual sleeve locking mechanism prevents accidental and involuntary connection and disconnection. The main field of application for Flat Face Quick Couplings is machinery in environment-sensitive areas and hydraulic tools. Great resistance to pressure peaks preventing damage from high velocity fluid and hydraulic shock allows applications involving high pressure impulses in mobile construction and agricultural equipments and general industrial plants.